Conflux 14 The Unconventional Hero was four (!) weeks ago now, and I think I’ve nearly recovered. Jumping straight into the deep end, I chaired a discussion panel early on day one. It was bit terrifying, since I’ve never sat in the moderator’s seat before, but luckily the panellists – editor Abigail Nathan and fantasy writers K J Taylor and Paula Boer – made it an easy job. We talked about the “Do it yourself” Hero, and what ingredients go into making a hero interesting. My second panel was a variation on a similar theme: The Unconventional Hero’s Journey looked at the standard Campbellian heroic journey and how writers could mess with that trope. That panel, ably chaired by Conflux 2014’s MC/ringmaster Rob Porteous, flew by so fast that all I remember were the other panellists – Gillian Polack, Simon Petrie, Abigail Nathan (again) and me. I’ve no idea what I contributed to the discussion – jokes about superheroes probably. Conflux has a great workshop stream, with subjects typically focused on the craft and business of writing and publishing. I didn’t manage to get to as many workshops as I wanted to this year (I was particularly dirty not to be able to squeeze in late to Russell Kirkpatrick’s talk about cartography in fantasy, a fact he probably won’t let me forget for some time). The one workshop I did get to was Aiki Flinthart’s on writing about women in fights, which was great. Aiki’s a trained martial artist and had a lot of eye-opening things to say about the physiology and brute physics of physical confrontations, and in particular the differences between how men and women typically behave before, during and after a fight. The workshop was fantastic – rich in details, and revelatory about what is and isn’t realistic in a fight. If you get a chance to take Aiki’s clinics, I highly recommend them! Conflux has cemented itself over the years as one of the big events for book launches. This year there were about a dozen – too many to keep up with. Notably, Kaaron Warren launched two books at the same time, with the assistance of emergency last-minute Guest of Honour Lee Murray (who also has several new books coming out at the moment)! 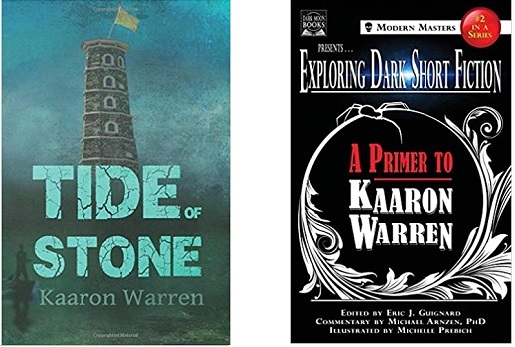 Kaaron launched two new books – Tide of Stone and Exploring Dark Fiction #2: A Primer to Kaaron Warren. The hosting venue also celebrated the occasion by inventing a brand new cocktail, called a Tide of Stone, which looked remarkably like molten silver slurry. I heard it was delicious but I wasn’t remotely game to try it! 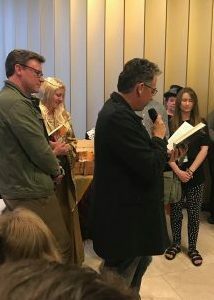 Of the many others I managed to catch Dawn Meredith’s Letters from the Dead, Simon Petrie’s 80000 Totally Secure Passwords That No Hacker Would Ever Guess, and Rob Porteous’ The Book of Lore. My pile of books waiting to be read is big enough to trip a herd of elephants, but that didn’t stop me adding to the stack this year. One day I may even manage to read some of them! Whiskey Con – My scurrilous associate T R Napper, who regularly tears up the pages of Interzone with his Asian noir-cyberpunk SF, organised an evening of exotic whiskey tastings at Verity 112, the underground bar where Kaaron held her book launch. Or should that be whisky tasting, since four of the six samples were products of the USA? At this point I can’t recall the name of a single thing I drank, but I guarantee I’m never going to forget the sensory assault of that last cherry moonshine shot. I may never recover either. The launch concluded with book sales and an epic author signing table with about ten of us passing books back and forth. I was too busy trying to think of amusing things to write and making sure I didn’t misspell my own name. I completely forgot to take photos. One of my friends did catch a couple of key moments fortunately, so I didn’t only have a sore throat to commemorate the occasion! It was a busy one. I didn’t get a chance to catch up with as many visitors to Canberra s I would have liked, though I did get to see a few old friends and make some new acquaintances. I’m already looking forward to next year’s convention (not least because I won’t have any particular responsibilities this time around) so if you get a chance, do come along. 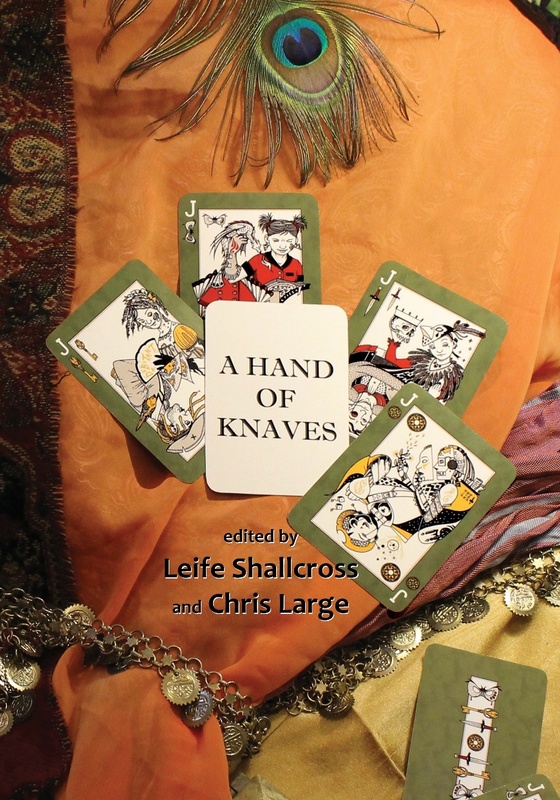 This entry was posted in Writing news and tagged a hand of knaves, abigail nathan, aiki flinthart, chris large, Conflux, csfg, dawn meredith, eugen bacon, gillian polack, k j taylor, kaaron warren, lee murray, leife shallcross, louise pieper, paula boer, robert porteous, russell kirkpatrick, simon petrie, t r napper. Bookmark the permalink. It was great to finally meet you, Dave, albeit briefly. I also didn’t get to half the things I wanted to, but c’est la vie. Looking forward to next year already! I know! I wish we’d had a bit of time to sit down and chat properly. Next time indeed!